Tall, straight tree trunks line the banks of the stream–each trunk elegantly splotched with patterns of white and gray. This is red alder, or Alnus rubra, one of the two common species of alder in this area. This fast growing species is important as an early colonizer of disturbed habitats–landslides, stream banks, logging sites, or even forest clearings where a big old tree has fallen down and made a gap. I’ve seen hundreds of young alder sprouting up on the gravel left behind a retreating glacier, and it was one of the first plants to grow back in the wasteland left by the Mt. St. Helens volcanic eruption back in the 80s. Around here, alder tends to prefer the moist soils of canyons, streamsides and wetlands. Besides the characteristically blotchy bark you will know alder by its tiny woody cones and its broadly serrated leaves that seem almost dented by the lateral veins that run across them from midrib to margin. 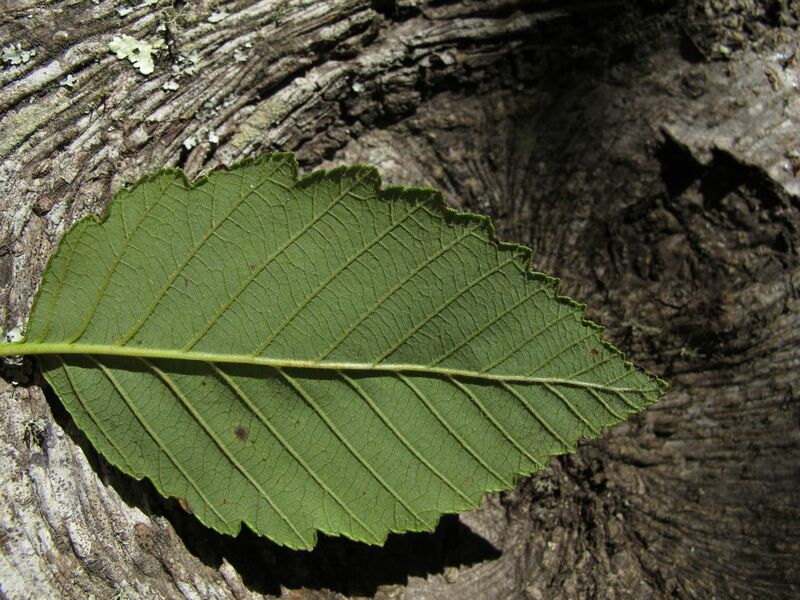 Red alder can be identified by the way the edge of the leaf rolls tightly under itself, so when you flip one over you see a dark green ridge running around the rim of its paler underbelly. The other local species of alder (white alder, or Alnus rhombifolia) has a flat edge. 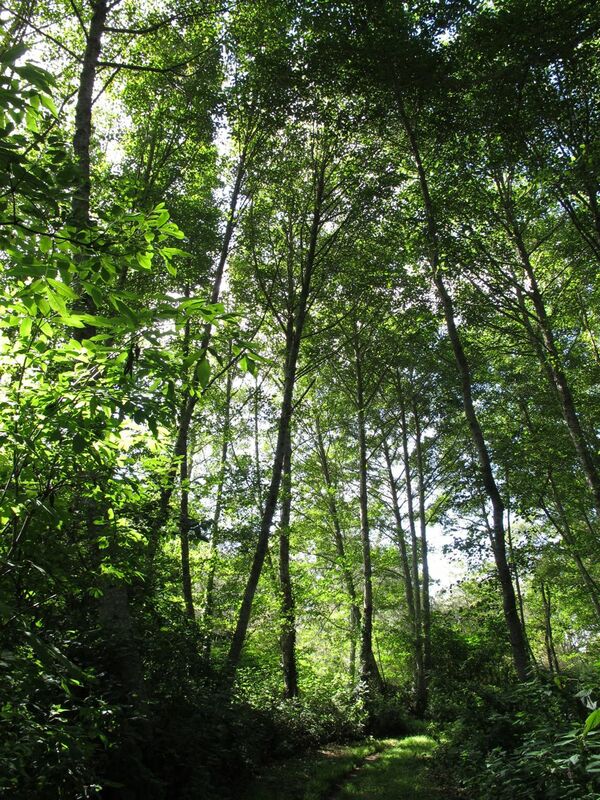 Red alder contains the compound salicilin, which is similar to acetylsalicylic acid–aka aspirin. 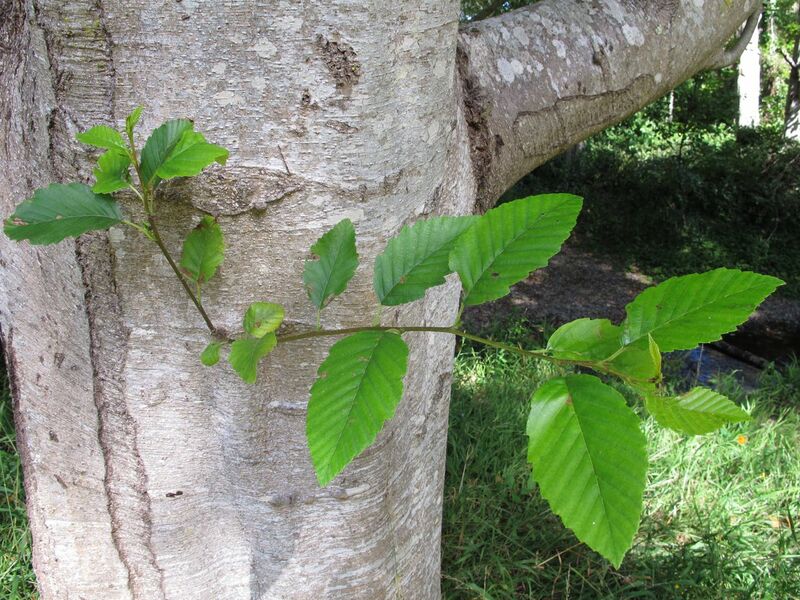 Native Americans used extracts of the bark to treat a wide range of maladies from tuberculosis to headache (as well as stomachache, wounds, eczema, diaper rash and more). Cones and catkins were also used. Some tribes rubbed rotten wood on limbs to sooth aching bones. A red dye can be made from the bark–one use for this was to dye fishing nets, supposedly making them invisible to fish.